It's a Party! I just made some new fill-in-the-blank invitations for your next get-together. These can be used for a kid party or a nice summer dinner party. I created a nice feminine pattern inside the masculine elk (buck?). They are printed on 100% recycled paper (Yay! No new trees). 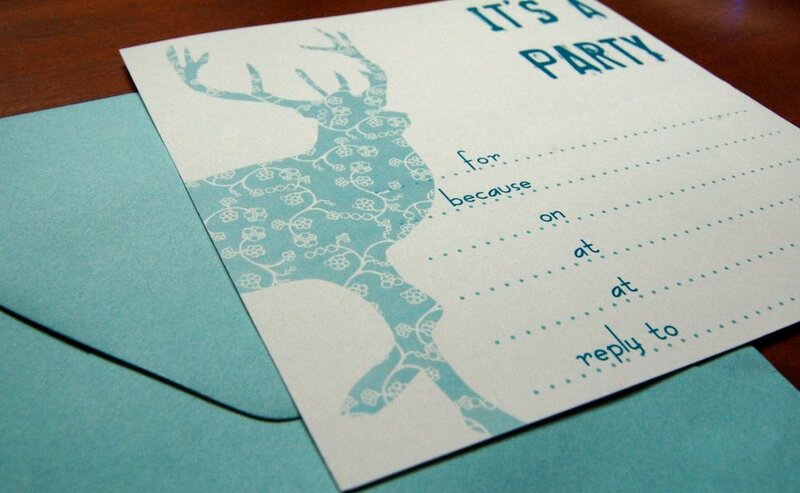 Sold in sets of 8, these invitations are 6.5 inches square and paired with light turquoise envelopes. They are currently available in the JetKat Etsy Shop.